Robert Downey Jr. is the man of the moment right now with The Avengers hulk smashing box office records everywhere (don't you love it when we cinema-goers are brought together by one particularly awesome movie?). So what would be better than to look back at his box office hit from last year (earlier this year, if we're going by NZ time), Sherlock Holmes: A Game of Shadows? I mean, it ain't no Avengers, but RDJ is still cool no matter what, right guys? CHRISTOPHER: It has been a while since I've talked to a manly movie. I don't know why I always get saddled with the girly movies. 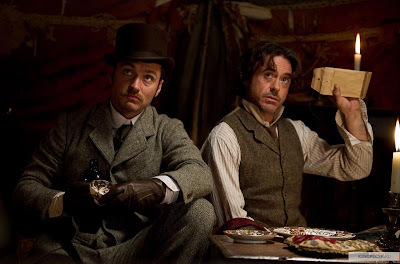 SHERLOCK HOLMES 2: Is it because you give off a girly impression? SH2: Well, I've been observing your other conversations, and let's just say, you didn't fit the bill as a Greek God, you lost a duel with a ginger cat who wears shoes, and you somehow convinced New Year's Eve that it's sequel should be based around Queen's Birthday. Does that not strike you as a little girly? C: I guess your observations make you a super detective then, huh? SH2: I'm knee-deep in the single most important case of my career. C: What, investigating my suspected girly-ness? SH2: Yes. The second is stopping the collapse of the Western civilisation. The third is being a movie worthy of Robert Downey Jr's awesomeness. C: Ah, I imagine that is quite hard. SH2: I don't know how The Avengers did it. Something I should observe next, I suspect. C: You mentioned preventing the collapse of the Western civilisation. What's that all about? SH2: You see, Professor Moriarty is under the impression that he can just take down the Western civilisation and get away with it. But not without the help of a certain Sherlock Holmes, his long-suffering associate Dr. Watson, his brother Mycroft and a gypsy named Sim. C: From my observations (see, I have some of my own), Sim is played by Noomi Rapace. Wasn't she the original girl with the dragon tattoo? Couldn't she just have figured everything out herself? SH2: No, you idiot. First of all, Noomi Rapace isn't going to be the girl with the dragon tattoo forever. Second of all, she doesn't have a dragon tattoo. I...checked. Finally, the girl with the dragon tattoo was good with computer hacking. The only hacking I know of is taking an axe to something. And I have a gun for that, so there you go. SH2: Plus, the girl with the dragon tattoo has nothing on a certain Sherlock Holmes! C: Okay, I get it. So you are the sequel of a semi popular 2009 movie. How do you feel that you stack up compared to that one? SH2: I appear to have a lot more slow motion. C: What if people don't particularly take to slow motion? SH2: Then they might not really appreciate me. But they'll probably appreciate Robert Downey Jr's awesomeness. Even in drag. C: I'm sure not having Mark Strong as your villain is a great disservice. SH2: We tried to get him back and just wear a prosthetic mask, but we realised that was just too Mission Impossible. C: But Mission Impossible is actually okay. SH2: There's no impossible missions for a certain Sherlock Holmes! 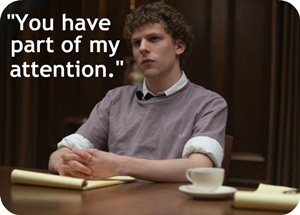 C: Apart from maybe being a movie worthy of Robert Downey Jr's awesomeness? SH2: That is going to be the subject of the sequel. 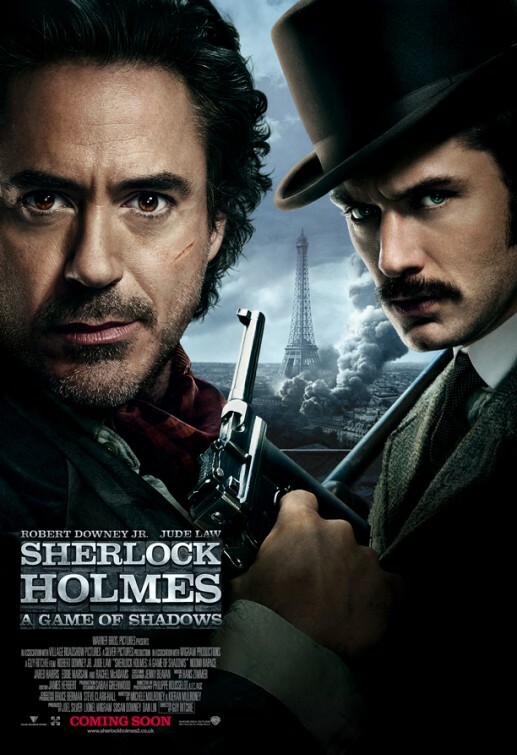 Sherlock Holmes: A Game of Not Being Robert Downey Jr's Shadow. I actually thought this movie was really good. Not quite as great as the original, but still a pretty mean blockbuster! And plus, Robert Downey Jr is just awesome! Though in saying that, I really could not relate Stephen Fry being his brother - that particular casting got me confused! Even though Mr Fry is a good actor.... he just didn't seem right for the role. I definitely liked the original a lot more. But yes, Robert Downey Jr is awesome! I totally agree about Stephen Fry, though. That didn't compute. Oh yes, he is such a great actor - especially as Iron Man! Haha I think I've got the Avengers on my brain or something! Yeah, I could never see him and Robert Downey Jr as brothers. He's just not that awesome! Great conversation! I was quite disappointed with the movie, I love the first part and this one lacked the wit and charm. Also Rapace was horribly underused. It did lack the wit and charm. And yes, Rapace was underused. Oh well, Prometheus will be a better shot for her! This is brilliant! That is all! I got it recently, I should give it a try soon, RDJ is always interesting and funny to watch on screen!